Reach Tree Service offers the expert tree care you can depend on. The expert tree care you can depend on. 15% off First Time Customers! Trees add a sense of beauty to any home’s outdoor landscape. Larger trees can also provide the ultimate shade from the hot sun during the summer months. However, if you have trees in your yard, it is important that you care for them properly to maintain their overall beauty and to keep them healthy and free from disease. 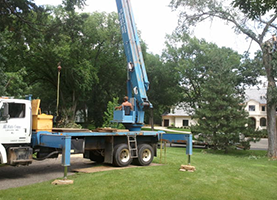 Our professionals at Reach Tree Service, serving Minneapolis, have the experience and skills needed to help you care for your trees and keep them looking beautiful. We offer a wide range of tree trimming services that are specifically designed to maintain the shape, look, and health of your trees. These services can be performed onetime, or as regularly scheduled maintenance on a weekly, monthly, or quarterly basis. We also provide tree stump removal services that typically involve stump grinding. This is the safest and most effective way to remove unwanted stumps from your property. 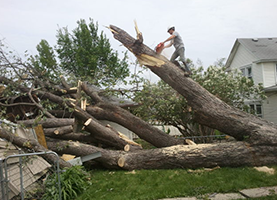 Whether a fallen tree has caused additional property damage or not, we can remove it from your property safely, and without more damage being done. We can also come and repair any storm damage caused to your trees. 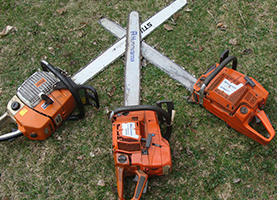 Call the Minneapolis area tree experts at Reach Tree Services for all your tree care needs, including tree trimming, emergency services, and stump and tree removal.